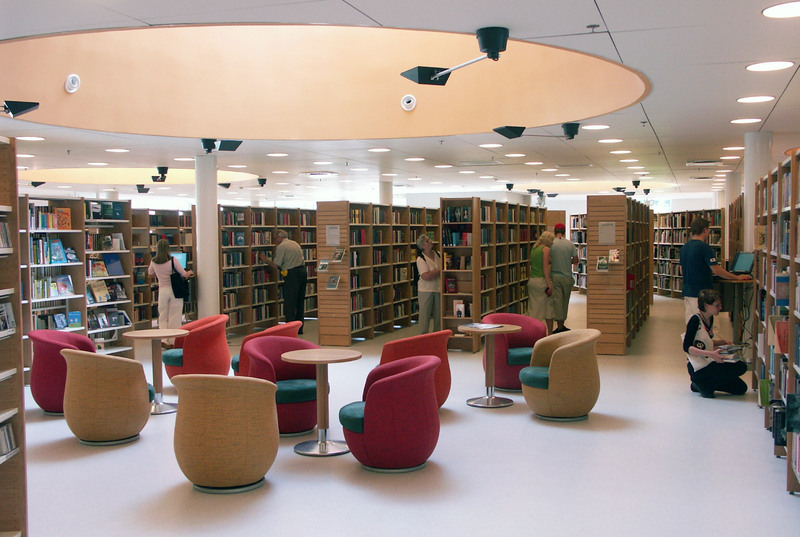 The Rauma Main Library has a significant role to play in the townscape. It is a unifying element in a space formed by buildings of different ages and a park. 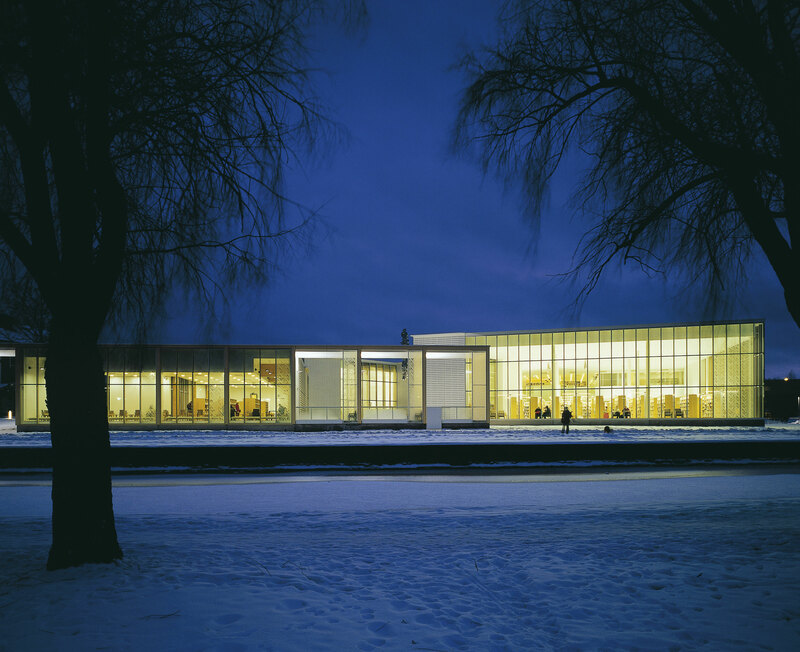 The transparency of the library building communicates the openness of its operations. The local traits and traditions are taken into account in the design of the building. The façade is made of painted timber and glass. Silk screen printing was used to create patterns emulating the lightness of lace, the making of which has a long tradition in Rauma, on the glass parts of the façade. 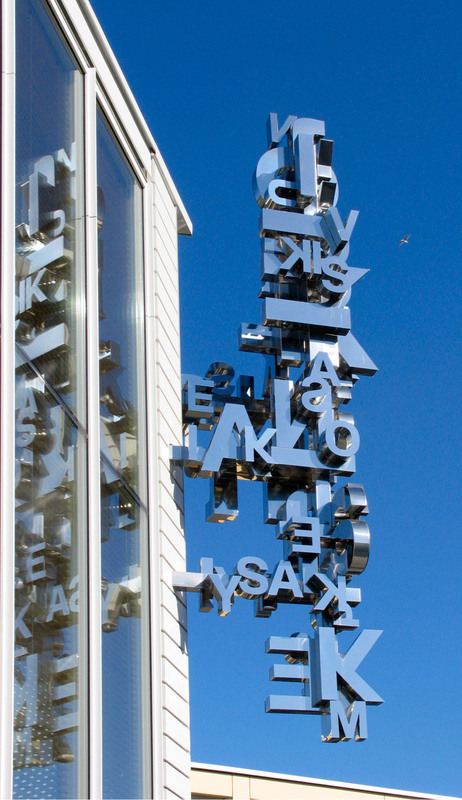 Bunches of metallic letters hanging from the ceiling form words in the Rauma dialect. 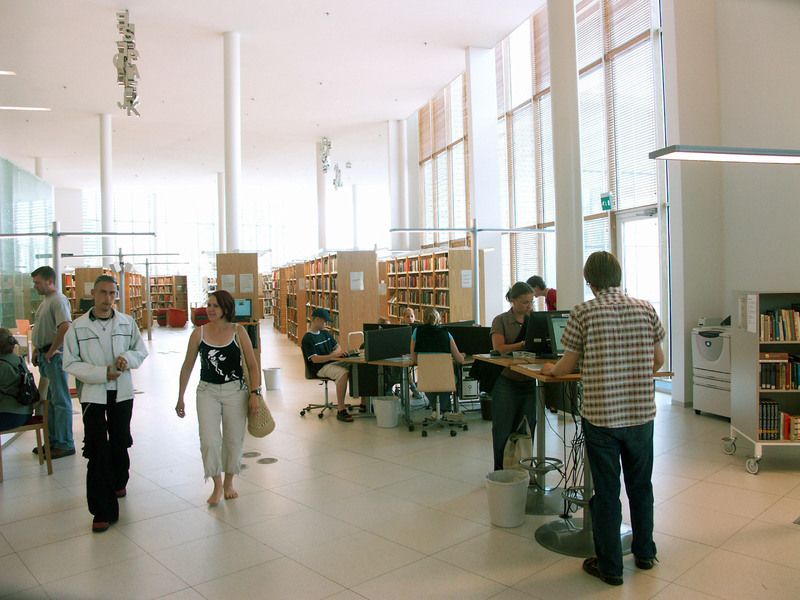 The Library operates on two floors. 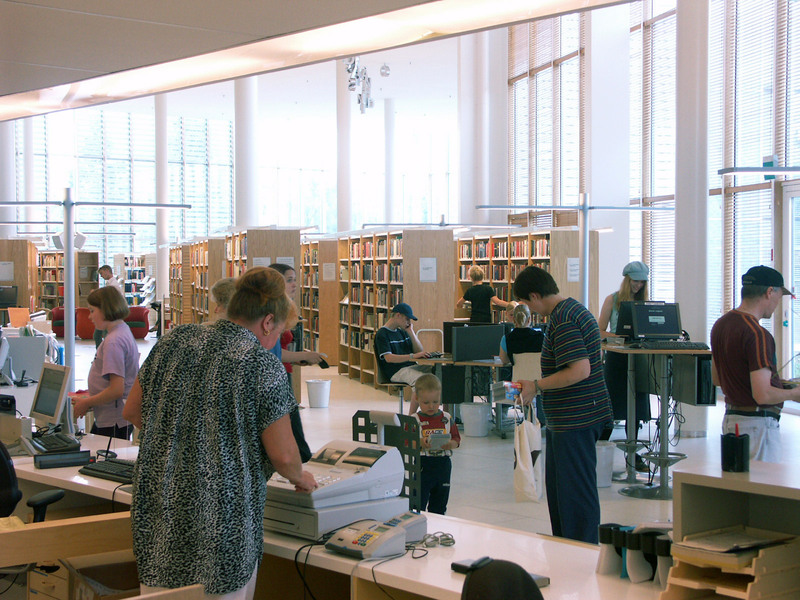 A newspaper reading room, the children’s department, part of the adult department, a conference and computer room as well as most of the staff offices are situated on the ground floor. The mobile library garage is also on the ground floor. 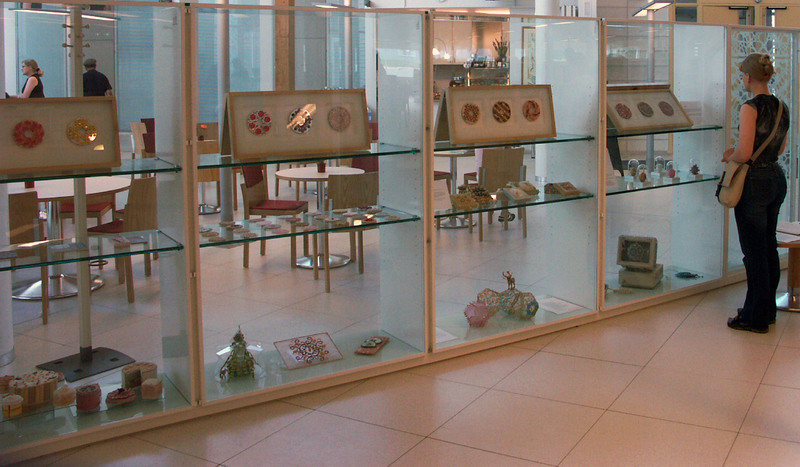 The adults’ arts, fiction and music collections can be found on the first floor. The study rooms, the artotheque,and office space are also located there. The technical equipment includes borrowing and returning self-service machines, free wireless internet, a video surveillance system, electronic lockdown of the doors and time card system. 80 computers, of which 30 are for staff use only.